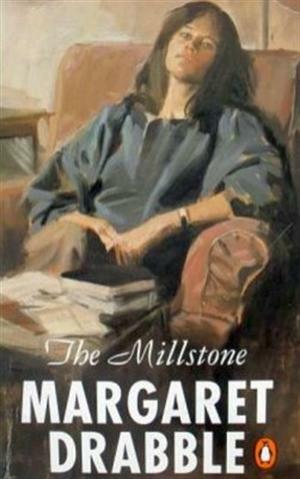 A celebration of the drama and intensity of the mother-child relationship, Margaret Drabble'sThe Millstone won the John Llewellyn Rhys Prize in 1965. Margaret Drabble was born in 1939 in Sheffield, Yorkshire, the daughter of barrister and novelist John F. Drabble, and sister of novelist A.S. Byatt. She is the author of eighteen novels and eight works of non-fiction, including biographies of Arnold Bennett and Angus Wilson. Her many novels include The Radiant Way (1987), A Natural Curiosity (1989), The Gates of Ivory (1991), The Peppered Moth (2000), The Seven Sisters (2002) and The Red Queen (2004) all of which are published by Penguin. In 1980, Margaret Drabble was made a CBE and in 2008 she was made DBE. She is married to the biographer Michael Holroyd, and lives in London and Somerset. Just sitting down to read it now! I am originally from the UK and live in Trondheim. I am in Tromsø on holiday staying at Comfort hotel. I tried logging into my 15 year old bookcrossing account but couldn't remember the email or password. Thanks for the read!